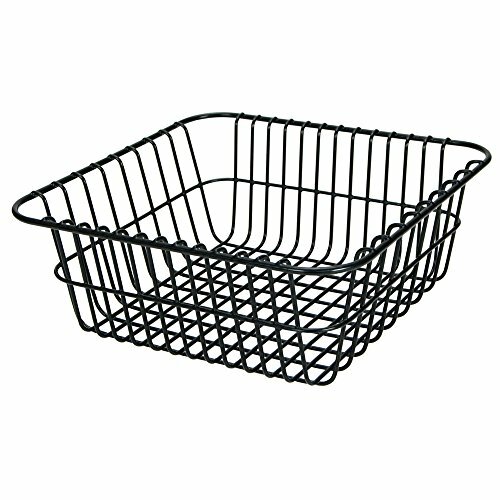 Igloo Wire Cooler Basket comes in black. It is used to store food items, such as sandwiches or chips that you don't want to get wet, or other dry goods. Polyethylene coated steel wire, corrosion resistant coating withstands exposure to ice, water and other liquids encountered inside of cold lockers. Grid pattern of .67 by .98-inch rectangles on the bottom of rack to help prevent smaller items from falling through, yet allowing circulation of cool air into the rack contents. Fits 50-quart roothold coolers. Approximate dimensions: 12 by 11.66-inches. Made in USA.